A senior politician has drawn a battle line in the sands of North Norfolk by pledging not to support a coastal plan which would “abandon” communities – unless full compensation is offered. 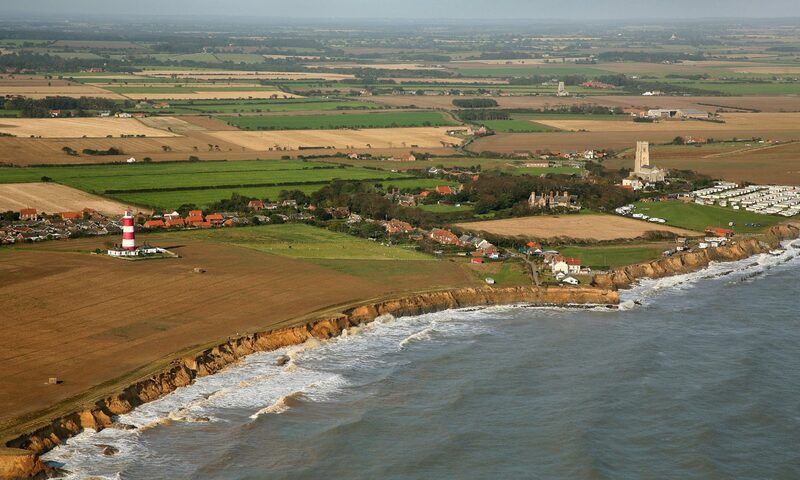 In a strongly worded statement, Simon Partridge, leader of North Norfolk District Council, voiced his concerns about the impact of the proposed new shoreline management plan (SMP), subject of several EDP reports in the last few weeks. The plan, which will soon be put out to public consultation, proposes allowing hundreds of homes, tourist facilities and farmland to be given up to the sea between Kelling and Lowestoft over the next 100 years. Some experts argue that this switch from hold the line to managed retreat is necessary because sea defences destroy coastlines in the long term, rather than save them. Mr Partridge said he did not underestimate the impact of the SMP review and the difficult decisions the council would face. He added that the issue was arguably the most important in the district. Both he and the Cabinet in North Norfolk felt that without financial support for those who lost their homes and businesses, they would not be able to support the proposal. “As things stand at the moment, particularly in the absence of any form of compensation scheme, we cannot support a proposal to abandon this stretch of coastline and its local communities to the long-term effects of erosion by the sea,” said Mr Partridge. He went on to say there was not enough money to maintain and renew existing sea defences, but defence would for now remain the council’s policy, “backed by our commitment to fight for the future of our coastal villages”. Mr Partridge suggested that if the total value of assets which could be lost over the next 50 or 100 years was calculated and compared to the cost of defending the coast over the same period, it might turn out the existing policy of defence was “both preferable and deliverable”. “That debate, however, must be directed at central government who must face up to the fact that this issue is so much bigger than North Norfolk,” he added. Malcolm Kerby, co-ordinator of the Coastal Concern Action Group at Happisburgh, welcomed Mr Partridge’s comments. “I applaud what he is saying because his words mirror what our group has been saying for some years now,” said Mr Kerby. “I would add that it is clear to me that the SMP is by no means a council document, but the result of pressure from Government.